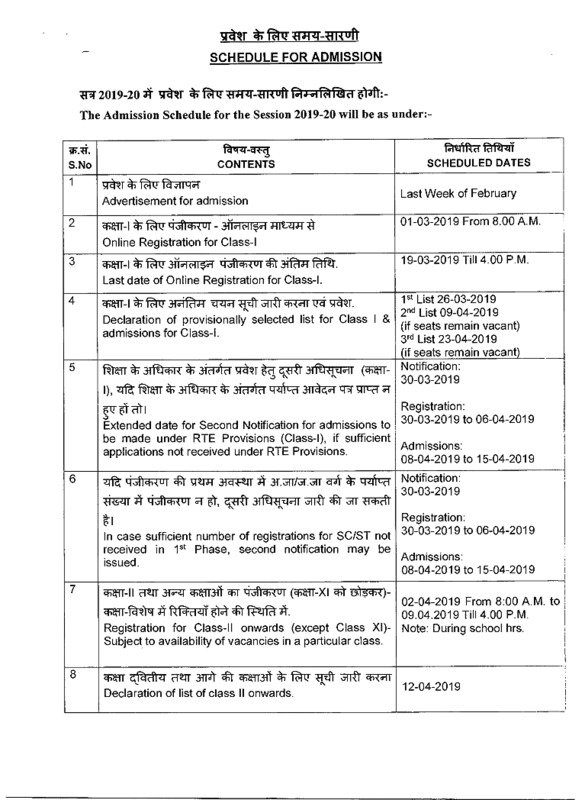 Please find enclosed herewith schedule for Admission for the Academic Session 2019-20 for your kind perusal & necessary action. 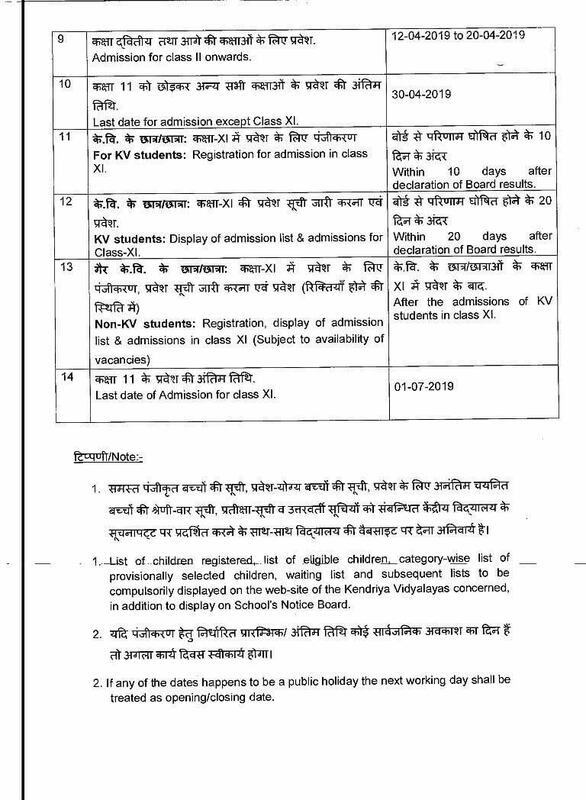 You are further request to kindly forward the same to all Kendriya Vidyalayas of your Region with the instruction to upload the same in their Vidyalaya website and put the same on Vidyalaya notice Board. A copy of this schedule may be uploaded in RO Website also.